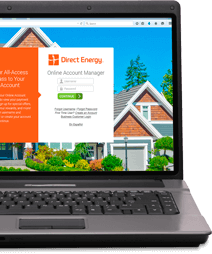 Natural gas is the most commonly used source of heating fuel in North American homes, and one of the safest and most efficient forms of energy overall. But when things do go wrong with a natural gas system or appliance, the results can be extremely dangerous. This guide covers ways to protect yourself from the potential dangers of natural gas, as well as how to maintain the gas system and appliances in your home. A malfunctioning natural gas appliance can potentially leak deadly carbon monoxide gas into a home. Part of what makes carbon monoxide gas especially dangerous is that it is colorless, odorless and tasteless, so when it is present in a home, the first warning sign may be the symptoms of carbon monoxide poisoning. If you or someone in your home suddenly experience the onset of these symptoms, you should leave immediately, alerting everyone else in the house on your way out. Once everyone is in the safety of fresh air, call 911 to report the leak and any symptoms experienced by the people inside. How do I prevent Carbon Monoxide poisoning in my home? 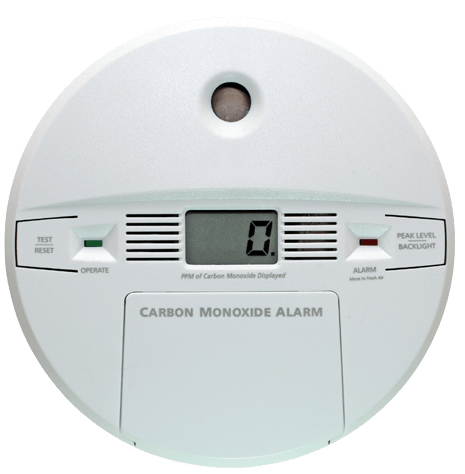 To prevent accidental carbon monoxide poisoning, you should have a working carbon monoxide detector installed on every floor of your home. Just like smoke detectors, these devices should be tested monthly and replaced upon the expiration date stamped on the back. Natural gas leaking into your home is not the same as a carbon monoxide leak. Natural gas can leak from broken gas appliances, loose fittings or broken gas lines. Also, unlike carbon monoxide, it’s easy to tell when natural gas is leaking into a home due to the telltale rotten egg smell. This odor is not naturally occurring -- it’s a safe chemical called mercaptan, which is added by gas utilities to serve as a gas leak warning. Natural gas is highly combustible, and leaks therefore present a serious risk of fire or explosion. If you suddenly smell natural gas in your home, you should leave your home immediately and call your local gas utility or 911 from a safe distance. Do not attempt to locate the source of the leak on your own, and do not touch any light switches or electrical devices on your way out, as this can create dangerous sparks. You must also avoid smoking or anything that would create a flame in the vicinity. Every home has a main shut-off valve for its natural gas system, and in some emergencies, you may be able to safely close this valve before you vacate your home. You should not put yourself at risk to do this if there is a carbon monoxide leak or an active fire. In many homes, the shut-off valve is located in the basement, near the pipe that comes inside from the outdoor gas meter. If you cannot locate your shut-off valve, contact your local gas utility and request that someone come show you. Some shut-off valves must be turned with the use of a special tool, which you may need to buy at a hardware store. If a shut-off valve hasn’t been turned in many years, it’s possible that it has rusted open. Never try to force a gas valve closed on your own if it doesn’t close easily. If yours is sticky, call your local gas utility for help, which may ultimately involve the replacement of the valve if it is in poor condition. Most gas appliances must be properly vented to the outdoors. This includes all gas furnaces, water heaters and dryers, and most gas fireplaces. Some gas fireplaces are designed to be vent-free. Gas ovens and ranges usually do not vent directly to the outdoors because of how efficiently they use gas, but a range hood that vents to the outdoors is still useful to ventilate trace amounts of gas, as well as smoke, grease particles and cooking smells. A malfunctioning venting system is one of the most common sources of carbon monoxide leaks, so maintaining these systems is very important. If you suspect any of your gas appliance vents of being blocked or broken, discontinue use of the appliance until you can get a licensed repair technician or gas company employee to conduct a thorough inspection. Many gas appliances have pilot lights -- small flames that burn constantly to provide an ignition source when more combustion is needed. To keep these flames going, a small amount of gas is constantly being expelled and burned. There are reasons to intentionally extinguish a pilot light, such as when a gas appliance is being repaired or maintained. The pilot light can also be extinguished accidentally. Most modern gas appliances have automatic shut-off valves that stop the flow of gas to the pilot light when it’s not lit, but older appliances may not have this safety feature. This is a common source of gas leaks, but because the amount of gas expelled is so small, it may take some time for the gas odor to become noticeable. If there is a buildup of gas in the area of a pilot light, it’s important to shut off the appliance’s pilot light valve and allow the gas in the area to completely dissipate before relighting the pilot. If this isn’t done, an explosion could occur as a result. If you’re not certain how to safely relight a pilot light on a gas appliance, contact your local gas utility for assistance. Furnaces. Your gas furnace should be inspected and tuned up every year. This process includes testing and cleaning of the burning elements, a thorough inspection of the heat exchanger for cracks, and an inspection of the ventilation system. If this maintenance isn’t performed regularly, you can’t be certain that your furnace isn’t leaking carbon monoxide into your home. Water heaters. It’s a good idea to have any water heater inspected and flushed annually, regardless of its fuel source, to maximize the efficiency and lifespan of the unit. But this is especially important of gas water heaters, because they must also vent to the outdoors to eliminate the risk of carbon monoxide poisoning. Fireplaces. Gas fireplaces should be installed by licensed professionals and inspected annually. The inspection of the gas unit usually includes a cleaning of the ports and vents, but it doesn’t necessarily include any servicing of your chimney. This is also important annual maintenance and should be scheduled separately if it’s not included. Ovens, ranges and dryers. These appliances typically do not require routine inspections by professionals, though all have their own recommended maintenance procedures and intervals. You should consult your owners’ manuals for this information. However, if any of these appliances start malfunctioning, you should discontinue use and schedule repairs. If there is an associated gas leak, no matter how small, you should close your shut-off valve if you can do so safely or leave your home immediately if not. Call your gas utility as soon as safely possible.